The temperatures have officially dropped for the year and much of the country has a dusting (or few feet) of snow on the ground. We may not have snow here in Florida but the temps have dropped enough that I still get the instinct to stay inside bundled up in blankets and make something warm to keep me cozy. This time of year I usually start making cookies as part of my Christmas cookies series with the hopes of helping those looking for ways to add a new type of cookie to the traditional holiday offerings. I promise those recipes are coming soon but I had to fulfill a wish from my 3-year-old who kept asking for cake. Anyone with a toddler or preschooler knows a slice of cake is extremely messy so I typically offer cupcakes instead. This typically cuts down on the mess minus a few crumbs here and there. I chose to keep with the holiday spirit and select a cake that combines all of the aromas associated with this time of year. Nothing gets me in the holiday spirit more than cinnamon, nutmeg, ginger, and cloves permeating the air with their wonderful aroma as the cake bakes. Throw on some Christmas music and voila you have holiday cheer in your house without having to make the dreaded (at least in my house) sugar cookies. What takes this cake to the next level is the frosting. I will warn you this frosting is not the easiest to work with but it is totally worth the effort. The maple adds the perfect complement to the spice cake and makes it feel as if you purchased them from a fancy pastry shop. If the frosting starts to set up on you too quick add a few drops of cream or water until it reaches a spreadable consistency once more. 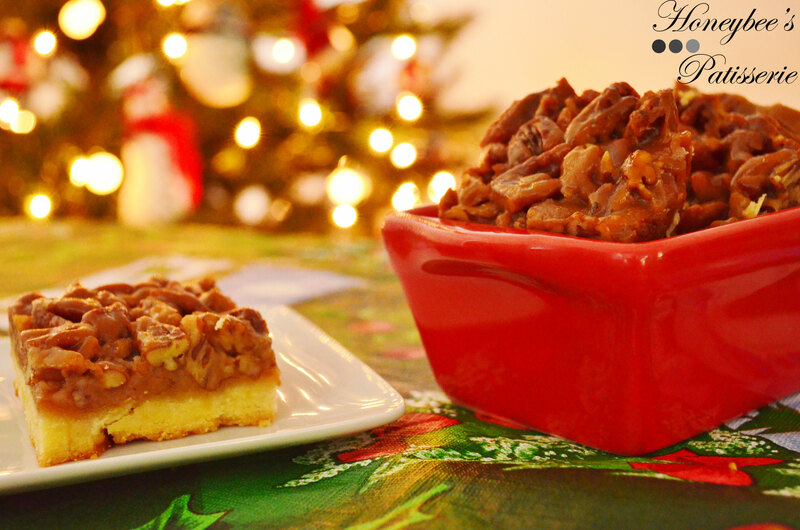 A toasted whole pecan on top adds the finishing touch and a delightful crunch! Preheat oven to 350°. Fill a 12-cup and a 6-cup muffin tin with cupcake liners. Set aside. Prepare cake mix according to box (or recipe) directions. Once batter is prepared, gently fold in the chopped pecans until just combined. 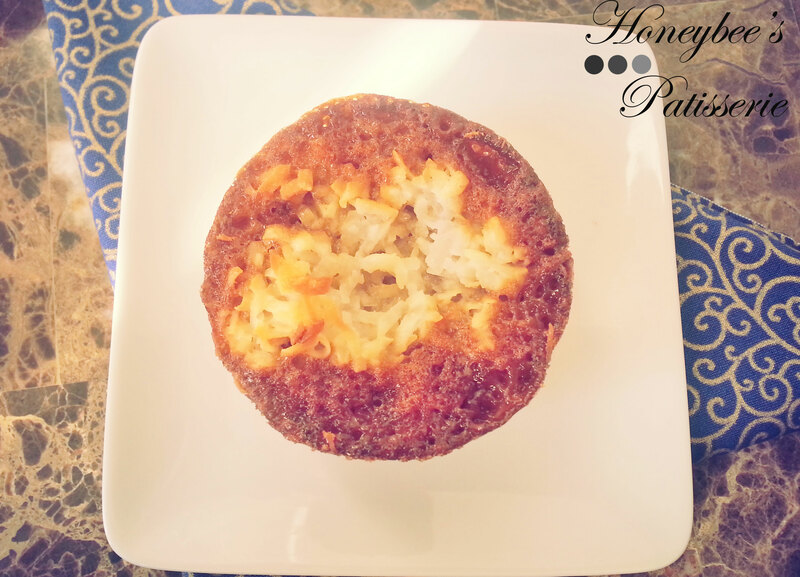 Pour batter into prepared muffin tins, filling each liner ¾ full with batter. 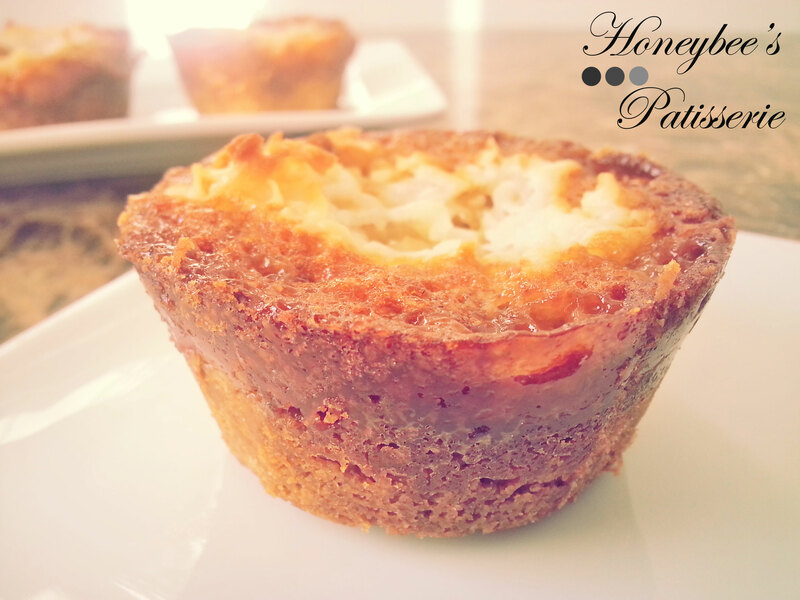 Bake cupcakes until a wooden pick inserted in the center of the muffin comes out clean, about 15-18 minutes. Place on a wire rack to cool. While the cupcakes cool prepare the frosting. In a saucepan place brown sugar, heavy whipping cream, maple syrup, butter, and salt. Bring to boil over medium-high heat, stirring only until the sugar dissolves. Cook mixture for 3 minutes without stirring. Remove mixture from the heat and scrape into a large bowl. Add the powdered sugar and beat with a hand mixer on high-speed for 2 minutes (or until mixture has cooled slightly and thickened). Beat in the vanilla. Using an offset spatula, move quickly to frost each cupcake. If the frosting sets before you have completed all of the cupcakes add a few drops of cream or water until the frosting is back to a spreadable consistency (the frosting will set faster if your cupcakes have completely cooled). Place a whole pecan on the center of each frosted cupcake. Serve. Halloween has come and gone in the blink of an eye and now Thanksgiving is just around the corner. 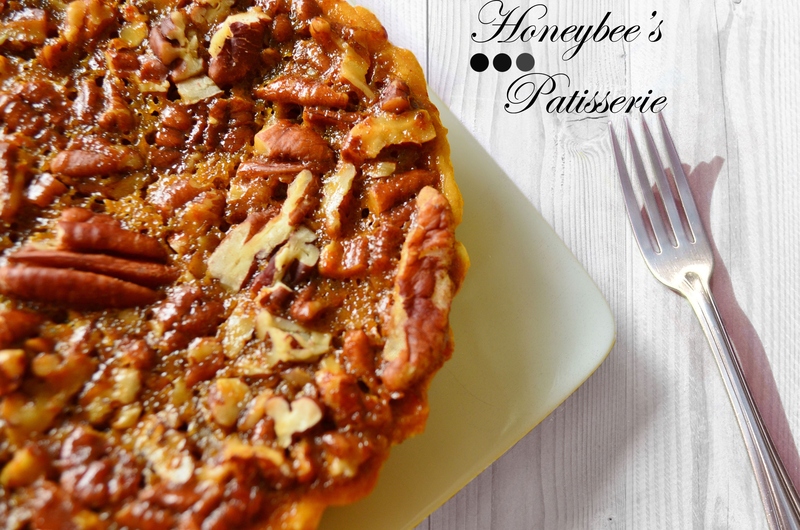 Two quintessential Thanksgiving treats found on almost every family’s Thanksgiving table tend to be Pecan or Pumpkin Pie. 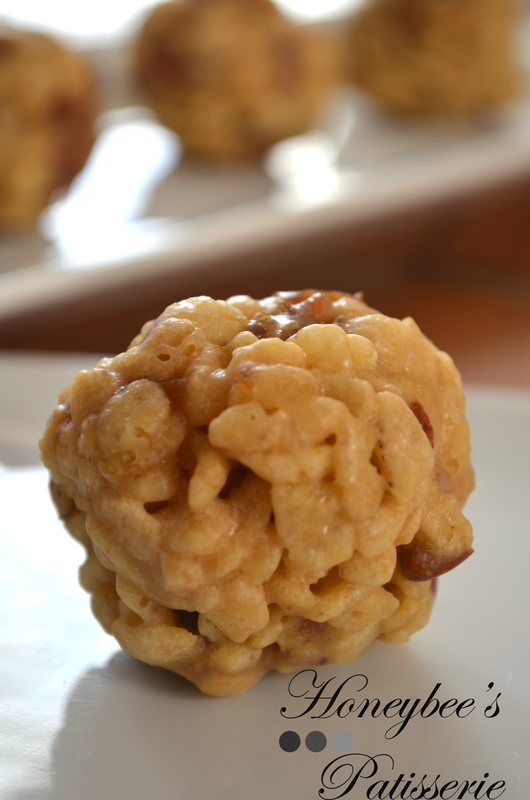 I try to make one or the other every year and I also like to reinvent old flavors into new favorites. These bars are a re-invention of the traditional pecan pie. 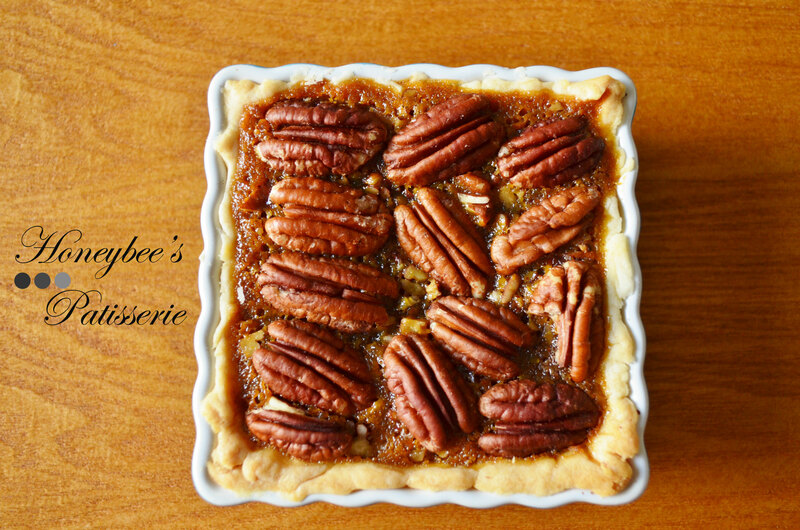 In the South, pecan pie traditionally gets spiked with a bit of bourbon but dates are usually not in the mix. The date palm across the street from our house currently dropping fruit gave some inspiration for the non-traditional addition and I must say it was a success. One thing I dislike about pecan pie (or inspirations derived from it) is the mess. These bars are no different. They are sticky messes of deliciousness so I suppose it is all worthwhile in the end. If you do decide to prepare these keep in mind that they are just as sticky as a pecan pie and they can fall apart like a pecan pie if not allowed to properly set. In order to avoid some of the mishaps that may come from this I have a few simple suggestions. First, plan on making these at least a day in advance. This is beneficial in two ways. The first is that the bars are much easier to cut when they have had a chance to chill. The second is simply saving you time on Thanksgiving to devote to other items you can’t prepare in advance. Unfortunately, sometimes when we solve one problem we ultimately create another. That is the case with chilling these bars. When they are chilled, they set up properly and allow you to cut them easily and uniformly. However, they are extremely hard to separate from the pan when cold. I do have a solution to this minor issue. Simply make sure that after these bars have cooled completely, run a knife around the outer edge to loosen the bars from the pan but refrain from cutting into portions before chilling. Chill the bars at least 3 hours but preferably overnight. Once fully chilled, you can cut into portions and not struggle to cut the edges from the pan when they are rock solid. The edges should slide away from the pan easily. Enjoy!!! Preheat oven to 400°. Coat an 11 x 7 inch baking pan with nonstick cooking spray. Set aside. To prepare the crust, whisk the flour, brown sugar, and salt together in a medium bowl. Add the butter pieces to the bowl and cut in using a pastry blender or two knives until mixture looks like coarse meal. Press the mixture into the bottom of the prepared baking pan. Bake for 12 minutes or until crust is light brown. Cool completely on a wire rack. Meanwhile prepare the filling. Reduce the oven temperature to 350°. In a large bowl whisk together the corn syrup, molasses, brown sugar, egg substitute, flour, bourbon, vanilla, salt, and egg. Stir in the dates and chopped pecans. Pour the filling over the prepared crust. 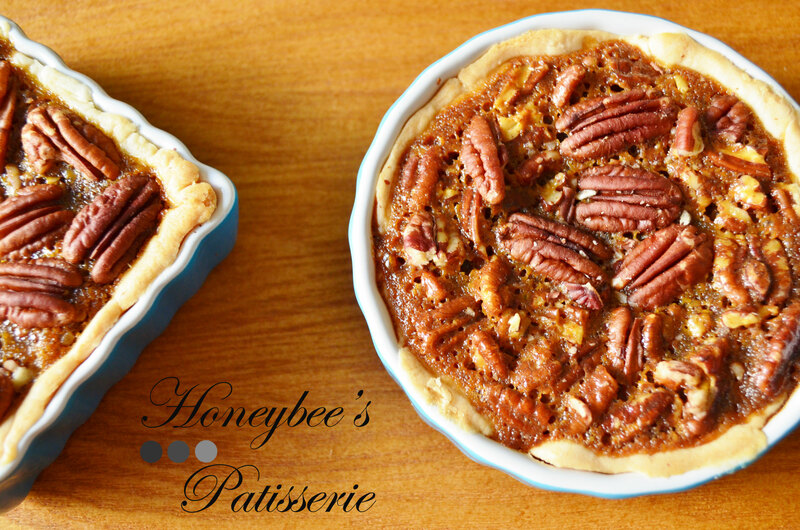 Place the whole pecans on top of the filling to create a presentable pattern. 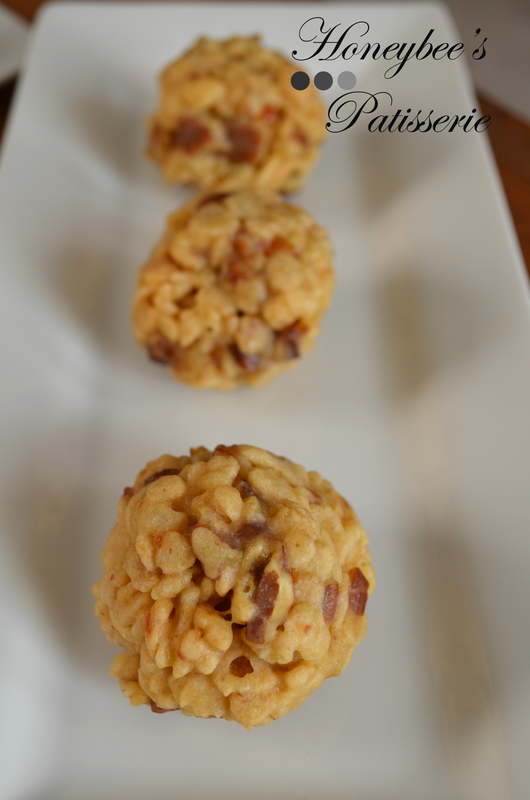 Bake bars for 35 minutes or until set. Cool in the pan on a wire rack. Use a knife to separate bars from edge of pan. Cover and chill 3 hours or until firm. Cut into bars and serve. Today was a rather dreary day and that made it perfect for staying in and baking. After a relatively busy day yesterday full of appointments revolving around my little one and grocery shopping, I was ready for a mellow day. After making breakfast for my little family I took on a recipe called Dream Bars. I decided to reinvent it into a more convenient, portable treat. Sure they may not seem like much but they sure do taste delicious. Surprisingly, despite how simplistic they may appear, these little guys can cause some problems. First off, most of the traditional Dream Bar recipes out there were just too sweet, even for my very forgiving sweet tooth. To overcome this, I wanted to overcome the sweetness with nuts. By toasting the nuts until crunchy, it cut through even the toughest of residual sweetness. Perhaps my favorite part of this treat is the coconut topping. Of course my favorite things always end up being the most problematic… go figure!!! Shredded coconut on its own would just dry out, burn, and become gross. 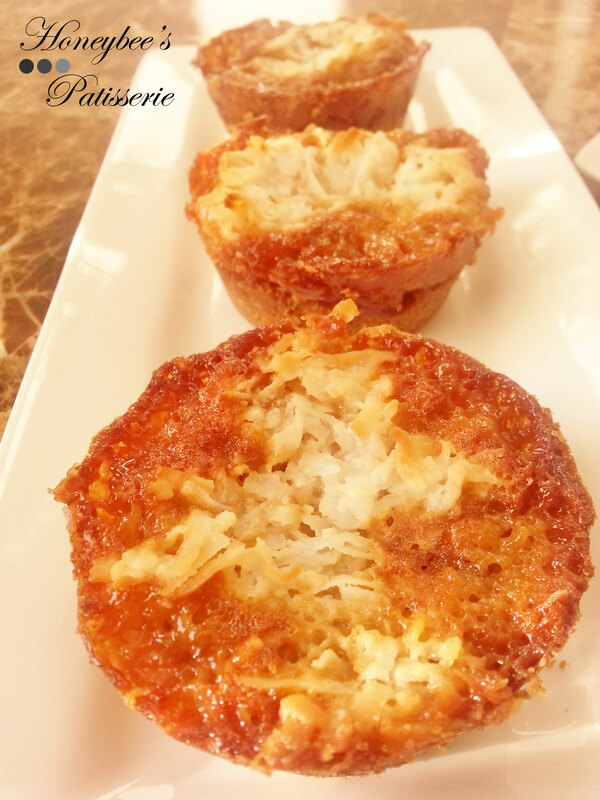 To keep the shredded coconut moist and delicious I soaked it in cream of coconut, which not only kept it moist but added richness and the perfect concentration of sugar that results in a caramelized topping without being overly sweet. I will admit this isn’t my strongest post, but it was never meant to be. It was meant to be an experiment, a way to refresh a recipe created in the Great Depression into something modern for our crazy, hectic world we now reside. It is not glamorous or gourmet. It is homey, practical, and satisfying. Probably why it has stuck around for so many years and had so many back-of-the-box variations. If it made some of the harshest moments of American history a bit more dreamy, than it is okay in my book!!! Note: Formula yields 18 cookie cups. 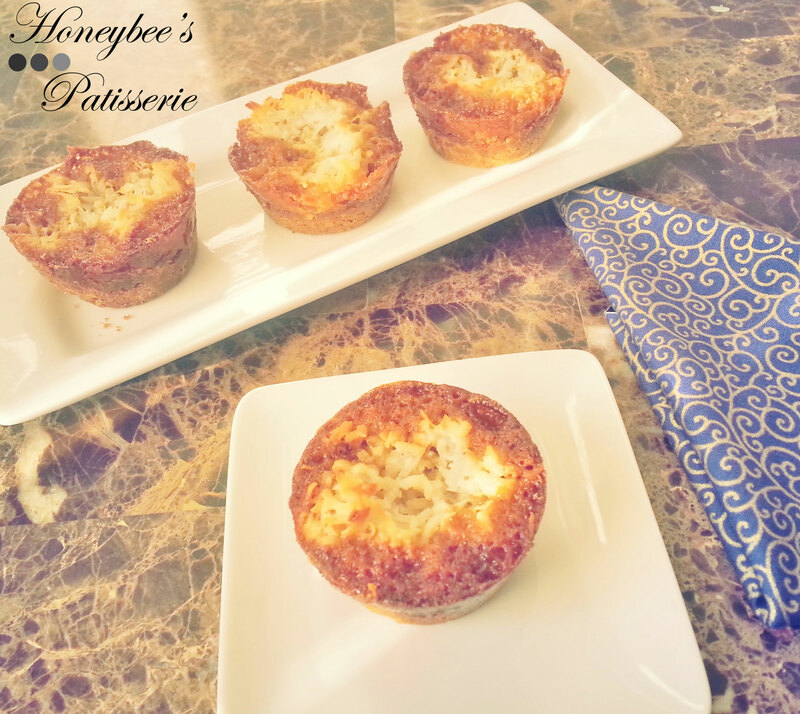 Cookie cups can be stored in the refrigerator in an airtight container for 5 days. Heat oven to 350°. Lightly grease a muffin tin with nonstick cooking spray. 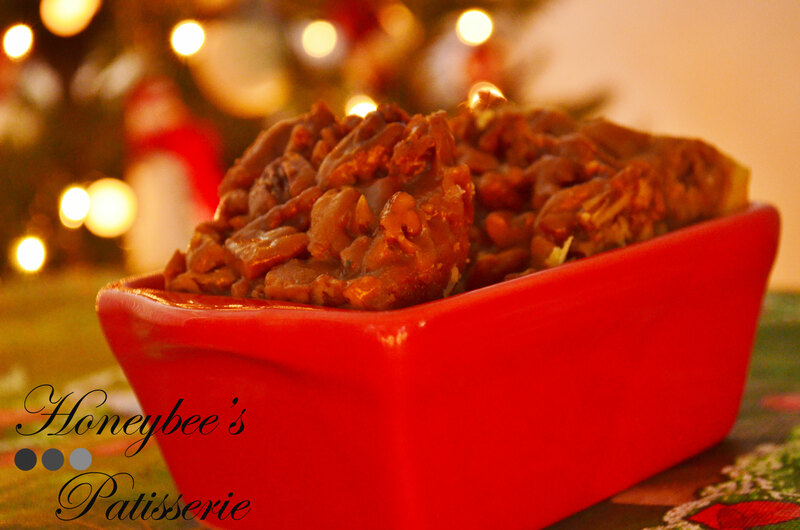 To make the crust, process flour, sugar, pecans, and salt in a food processor until pecans are coarsely ground. Add butter and pulse until mixture resembles coarse meal. Press mixture firmly into the bottoms of each muffin tin. Bake until the crust is golden brown, about 20 minutes. Cool on a wire rack for about 20 minutes. Meanwhile prepare the topping. Combine the shredded coconut and cream of coconut in a bowl. In another bowl, whisk the eggs, sugar, flour, baking powder, vanilla, and salt until smooth. Stir in the pecans, then spread over the cooled crusts, dividing evenly among each cookie cup. Dollop heaping tablespoons of the coconut mixture over the filling and spread into as even a layer as possible. 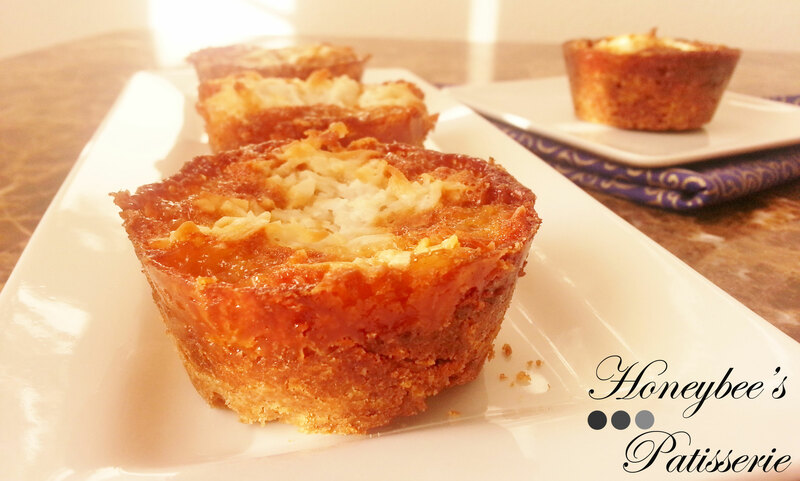 Bake the cookie cups until deep golden brown, about 35 minutes. Cool on a wire rack before serving. Christmas is just one week away and I have yet to finish my Christmas shopping. Surprise Surprise. I am however a lot closer to being finished than previous years. That is either because I have been more organized this year or because I less to spend on presents and therefore I am not buying as much and I finish quicker. I choose to look at it positively. This will be the first Christmas for my daughter and I am quite excited. She will be 11 months old on Christmas Eve and she has been “helping” me in the kitchen as she walks around yelling and giggling trying to pull anything and everything out of the refrigerator as it is open. I can’t help but laugh. 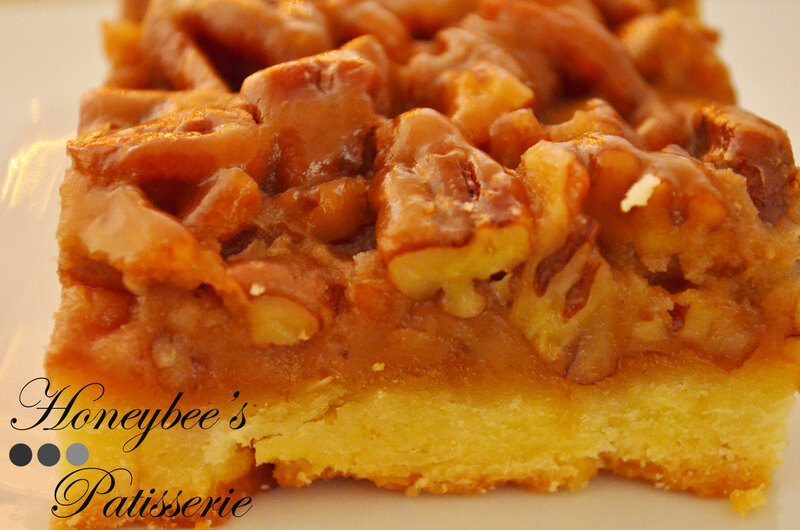 Today I will share with you my Pecan Bars. If you didn’t get a chance to eat Pecan Pie at Thanksgiving or are just an addict to anything Pecan Pie related than these are surely for you. They are very simple to make and can be doubled with ease to create larger quantities for big families. 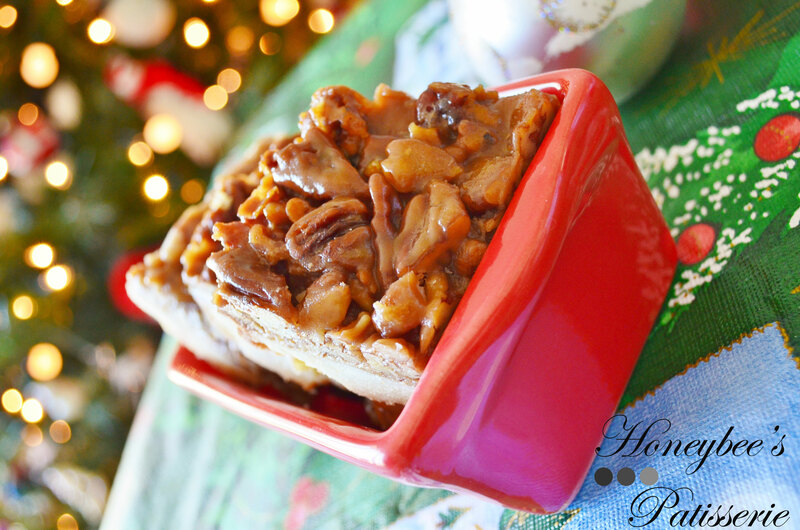 They have a cookie base similar to a shortbread in taste and texture which is a perfect complement to the gooey sweet Pecan Pie reminiscent topping. The shortbread soaks up the caramel juices of the topping and isn’t too showy itself that it allows the pecan topping to shine in all its delicious glory. A few little pointers for cookie number 2 in this years line up: Be sure to not skip the step of foiling the pan. Otherwise you will have a disastrous sticky mess on your hands and be very disappointed. Also be careful as you are adding the cream into the caramel mixture because it can bubble rather vigorously and we don’t want any burns just before Christmas!!!! Preheat oven to 375º. Line an 8-inch square baking pan with foil. Be sure to leave excess hanging around the edge to have an easy removal later. Grease the foil with nonstick cooking spray. To make the cookie crust, beat 6 tablespoons butter and granulated sugar in a stand mixer set to medium speed until light and fluffy. Add the egg and mix until incorporated. Reduce the mixer speed to low and add the flour. Mix until combined. Don’t overmix. Press the dough into the prepared pan. Dock the dough with a fork by making several piercings in the dough like you would to a baked potato before microwaving. Bake until the crust becomes light golden in color, about 15 minutes. Cool on a wire rack while you prepare the filling. To prepare the caramel filling, melt the remaining butter in a large saucepan over medium heat. Add the brown sugar, honey, and vanilla. Cook, stirring constantly, until the sugar dissolves, about 2 minutes. Slowly whisk in the cream and cook for about 3o seconds. Off heat gently stir in the pecans. Pour the caramel mixture over the cookie crust. Bake until bubbly and deep golden brown, about 20 minutes. Cool completely on a wire rack, about 1 hour. Using the excess foil overhang, gently lift the bars out of the pan. Cut into squares. Bars can be stored in an airtight container for 3 days. Thanksgiving is just around the corner and as everyone is buying their turkey, green beans, and sweet potatoes to prepare the holiday’s traditional dishes, I can’t help but get caught up in thoughts of one thing… Pie, Pie, and more Pie. As a kid we always had a large spread of food at the table but it was the end of the meal that made me so excited. My family always had many different types of pies to choose from which made me ensure I left a shred of room to try slices of a few different ones. The most famous pie of the season and go to at Thanksgiving is undoubtedly Pumpkin. It is a flavor that seems to only have a rightful place this time of year. Everyone can’t wait for the time of year to come around so they can enjoy pumpkin again, but at the same token are very quick to dump the thought of Pumpkin once Thanksgiving ends, trading it for frosted sugar cookies and peppermint, even though pumpkin is still readily available in our modern market. 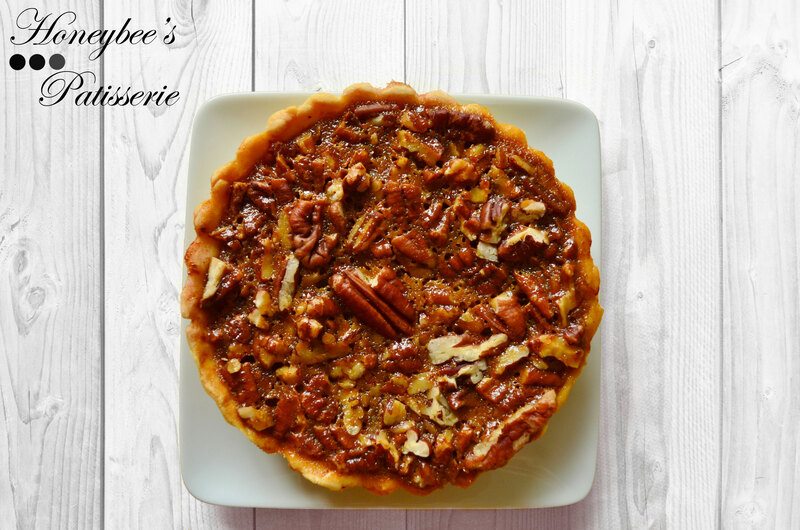 The pie that takes a backseat to Pumpkin but manages to sneak onto most family’s Thanksgiving spreads is Pecan. I never cared for Pecan Pie growing up. It was always too dry and overly sweet. A few years ago I thought I would give the pie a try having more grown up taste buds. I did enjoy it more than I did as a kid but it still couldn’t beat out Pumpkin for my fall favorite pie. I made sure not to burn the thing but it still had way too much sweetness. A few more years passed and here we are today. 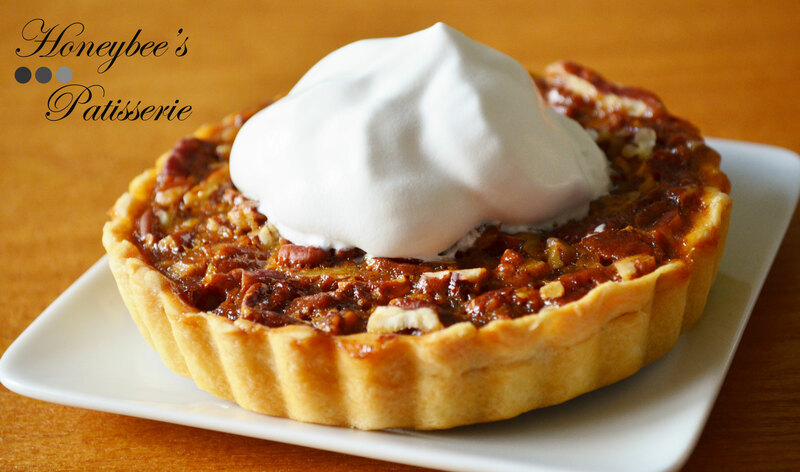 This time I decided to use a more traditional recipe for Pecan Pie that did not use the processed, overly sweet Karo Syrup that originally marketed the pie to fame. The traditional style recipes of the south uses less processed syrups like sorghum and cane syrup. Sorghum is made from cereal grass and cane syrup comes from boiled down juice of the sugarcane plant. These aren’t widely available unless you scour organic markets or live in the south. Hence why Karo takes the place of these since it is more affordable and widely available. It is very easy to replicate the old-fashioned flavors using molasses, brown sugar, and pure maple syrup. To kick the pie up a notch and stray from tradition just a wee bit I added a touch of Bourbon. You can use any type of whiskey but my boozy preference is Bourbon. Be sure to use mild or regular molasses and not the more potent blackstrap variety. Also be sure not to use imitation maple syrup over pure as the results would be similar to the Karo syrup recipes since both are filled with corn syrup as main ingredients and produce overly processed, intensely sweet final products. 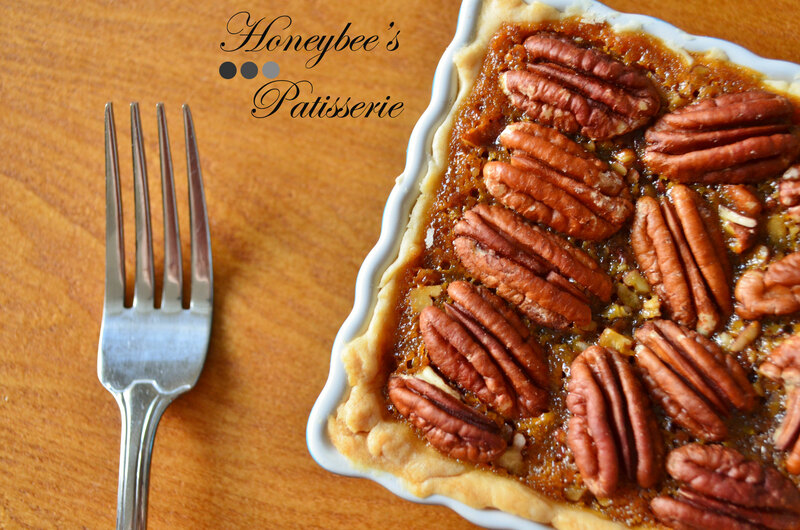 You need the pure maple syrup to give complexity and compliment the earthy tones of the toasted pecans. As an option you can serve this with some whipped cream dolloped on top. If you really want to drive home the boozy flavor you can even add a bit of bourbon or other whiskey to the whipped cream. Add about 2 tbsp. of Bourbon per cup of heavy cream. Whip to stiff peaks with 1 tbsp. of light brown sugar and ½ tsp. vanilla. Keep refrigerated until ready to use or about 4 hours. This recipe makes 3 mini pies. You will need 3 mini tartlet pans. Unroll one sheet of pie crust over the first tartlet pan. Gently press into bottom and sides. Gather remaining dough and re-roll. Repeat with the remaining two tartlet pans. Place all three prepared pans in the refrigerator and chill crust for at least 30 minutes. Adjust oven rack to the lowest position and heat oven to 450°. In a medium saucepan over medium heat, combine the maple syrup, sugar, cream, molasses, and bourbon. Stir the mixture until the sugar dissolves, about 3 minutes. Remove the syrup mixture from the heat and allow to cool for 5 minutes. Once the mixture has cooled, whisk in the butter and salt until combined. Quickly whisk in the egg yolks until incorporated. Remove the tartlet pans from the refrigerator and place on a baking sheet. 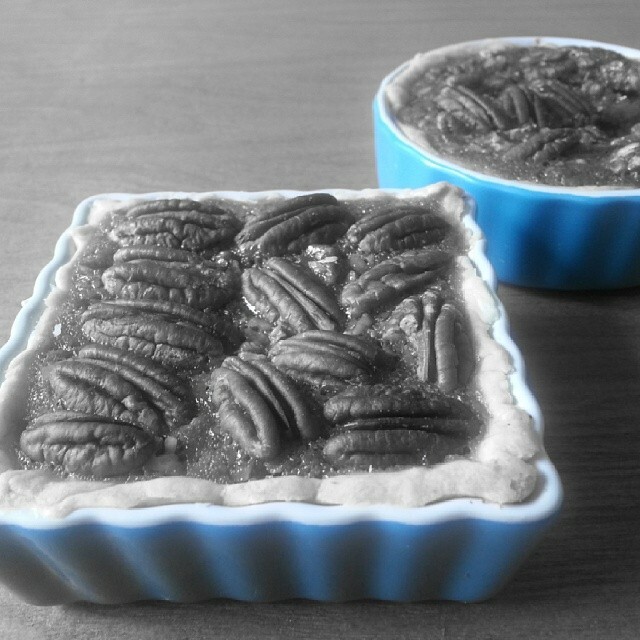 Divide an even amount of pecans between the three tartlet pans and scatter pecans into each pie shell. Carefully pour the syrup mixture over the pecans. Place the pies in the oven. Immediately reduce the oven temperature to 325°. Bake until the filling is set. The pie center will still jiggle slightly when the baking sheet is gently shaken, about 30 to 40 minutes. Cool pies on a rack for 1 hour, then refrigerate until completely set, about 3 hours but no longer than 1 day. Bring to room temperature before serving. Serve with a dollop of whipped cream if desired. Bourbon whipped cream recipe can be found in the final paragraph above.